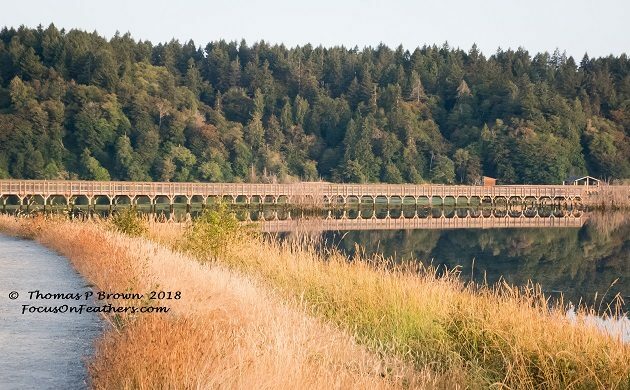 As our re-introduction to living in the US continues, I am sneaking in a bit of birding here and there, especially since our RV is parked so conveniently close to the Billy Frank Jr. Nisqually Delta NWR. I can be there in about 8 minutes, get in a few hours searching and photographing some great birds, and then be back in time to get my rather large list of projects checked off. With this year’s crop of new birds fluttering about, learning to fly, and still getting some meal time assistance each day, some of my time is spent figuring out who that speckled bird is, or something to that effect. 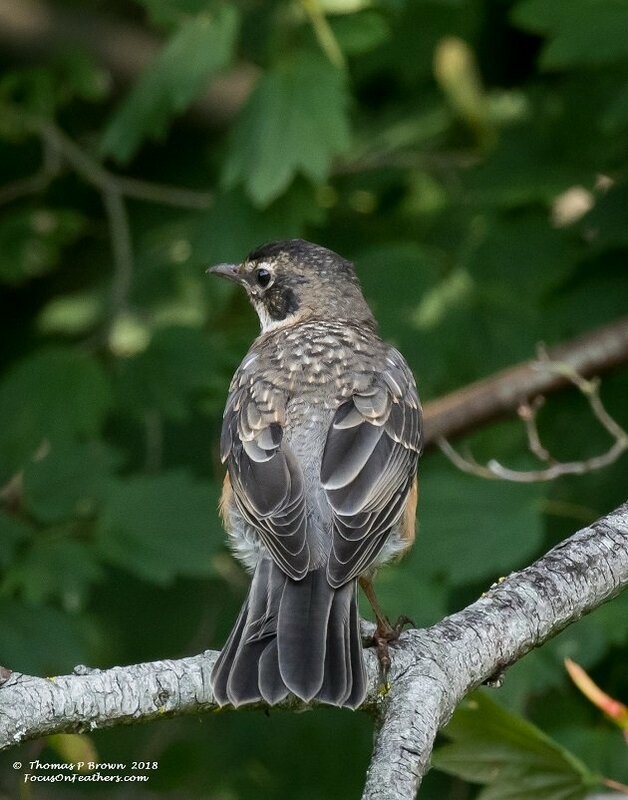 Case in point, juvenile Robins, which look like thrushes in an early morning darkness. 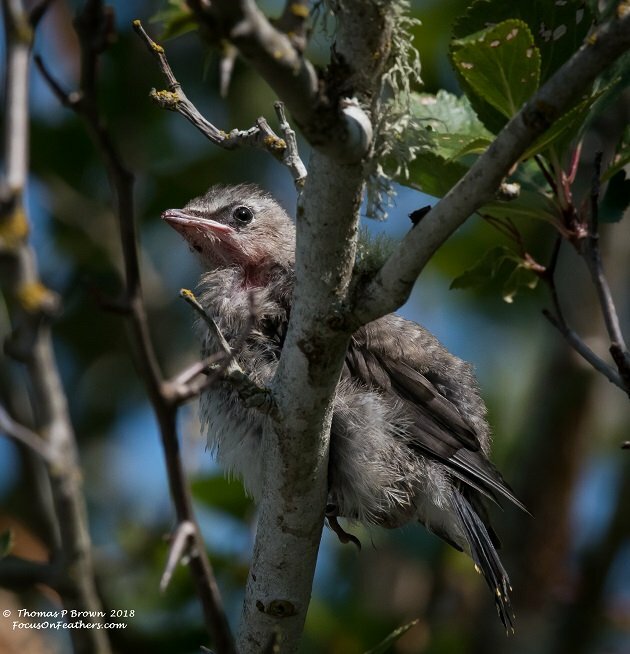 This young Cedar Waxwing, looks very much like, well, just about any other young bird, except it is starting to show its yellow tip on the end of its tail. 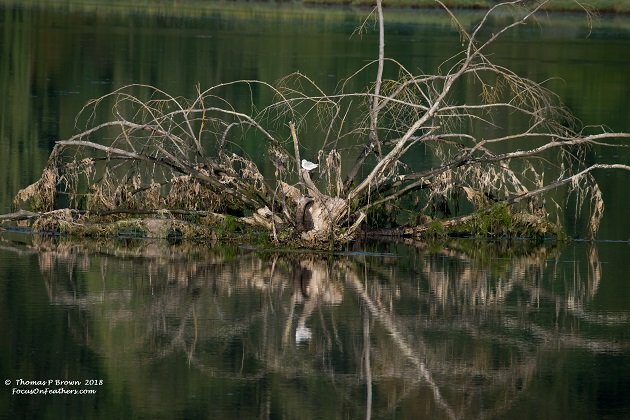 In walking out the extensive boardwalk, shown at the top of this story, that goes out thru the tidal area, I found this Bonaparte’s Gull, framed nicely by this washed up root ball. 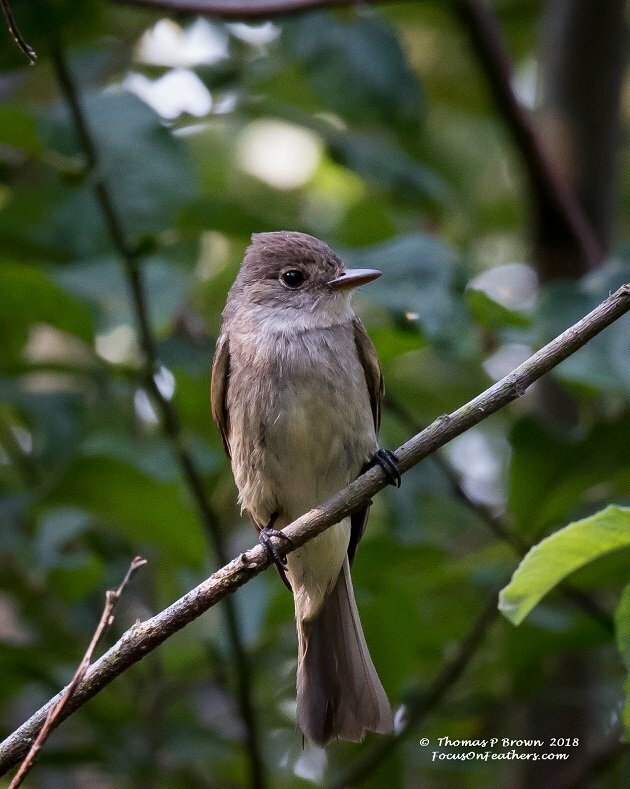 I had posted a picture of the Western Wood Pewee last week, but I like this new shot so much, you all get to see a repeat of the species. 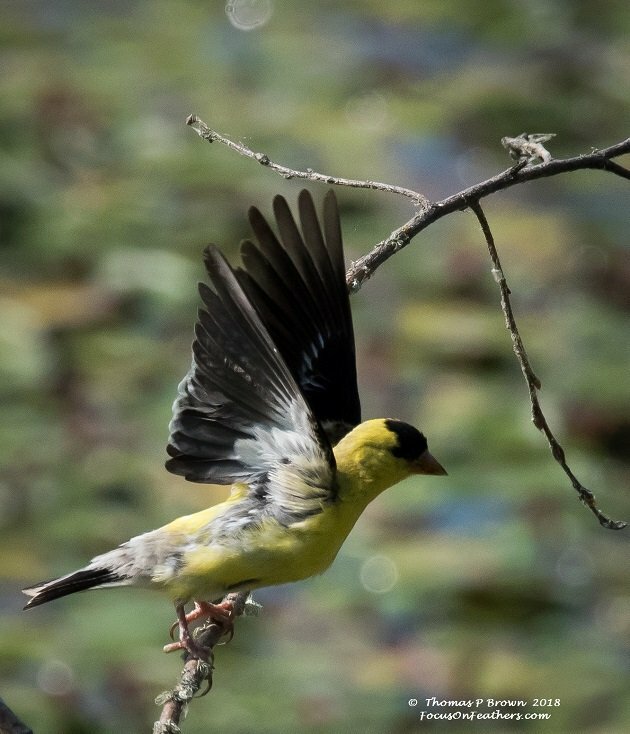 I had been trying to get a decent picture of one of the male American Goldfinches, but they just kept alluding me. Finally, one flew right into a piece of dead brush right above where I had been watching for a return of the Village Rail, and I finally did get a quick glimpse, and a decent shot. And just about as quickly, flew back out! 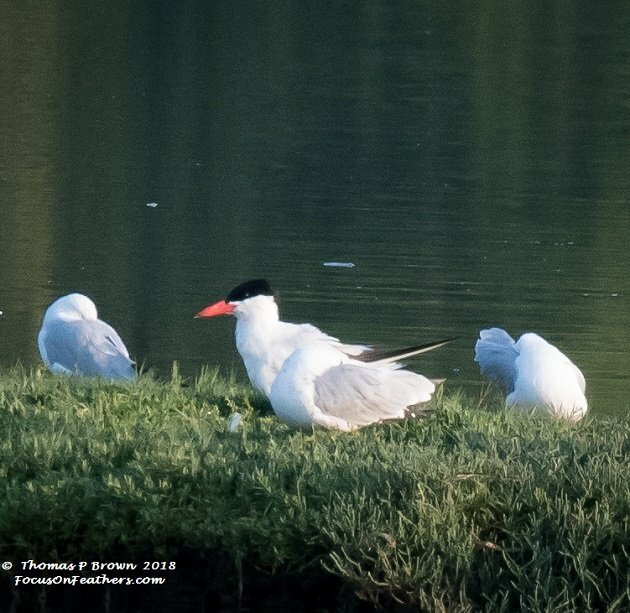 On a small island of grass, there was a Caspian Tern, hiding in amongst the Ring-billed Gulls. 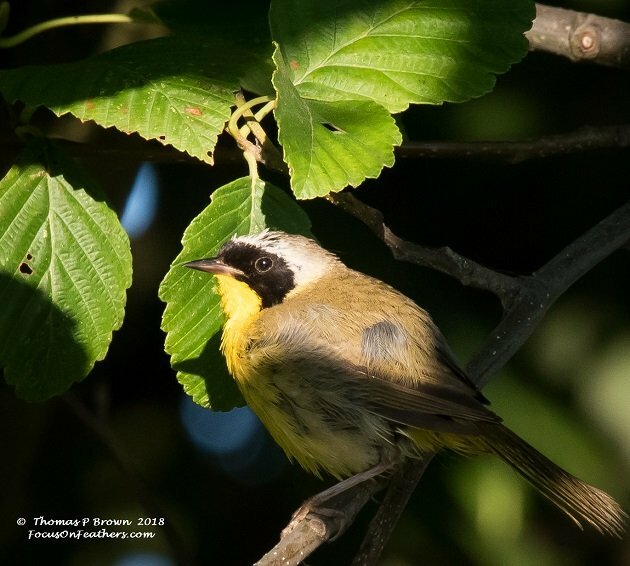 Out along the dike that holds back the incoming tides, I was able to find several Common Yellowthroats. My wife and I needed to go back into the town of Puyallup, where her father lives, so I excused myself, and spent some time at nearby Bradley Lake. The area is a fair sized city park, with a large fishing lake in the middle of it. It also has a nice group of trails that wander thru the pine and fir forest that borders the park. 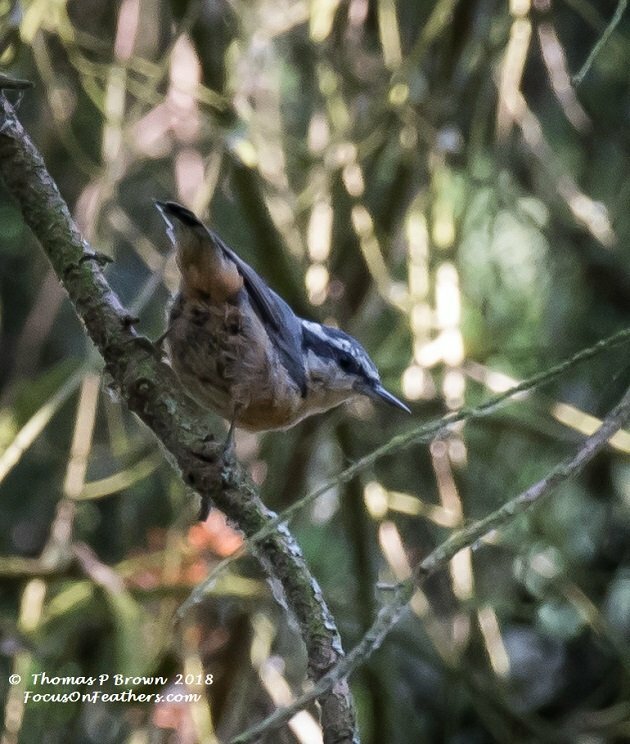 I was able to find my first Red-breasted Nuthatch of the year. 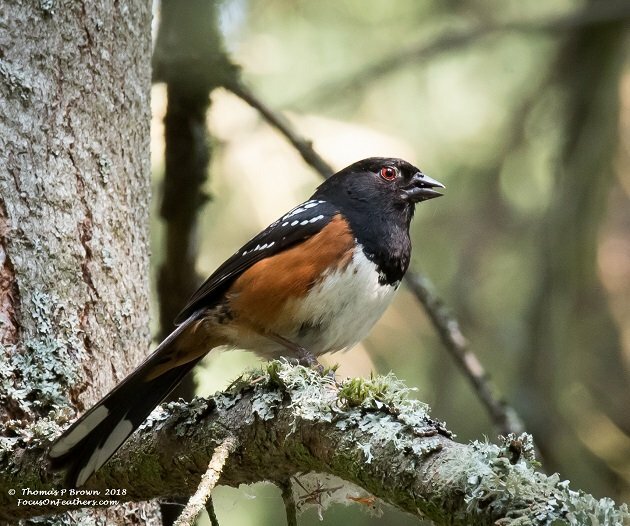 It was nice to find a Spotted Towhee, when it was not freezing cold, and I was standing in the snow. It seems that when ever I am finding these bright colourful birds, it is the middle of winter somewhere. 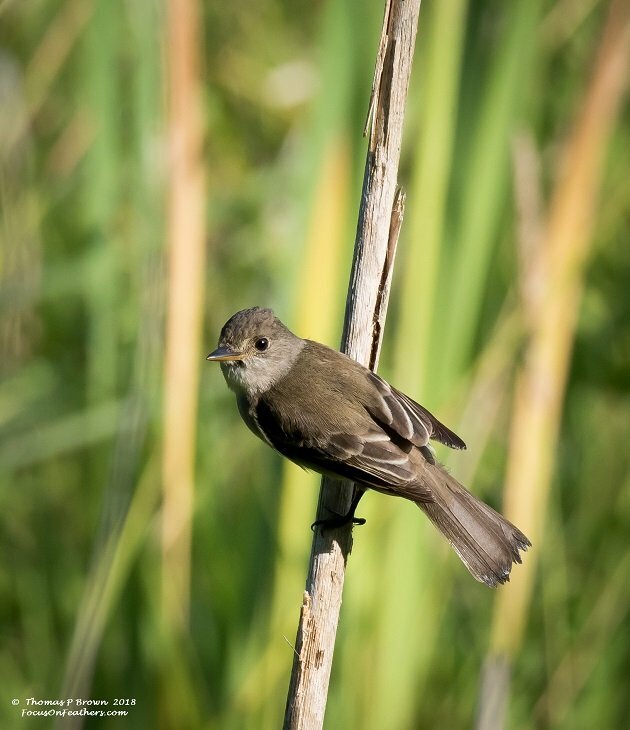 I found this Willow Flycatcher alongside a creek that runs down into Bradley Lake. 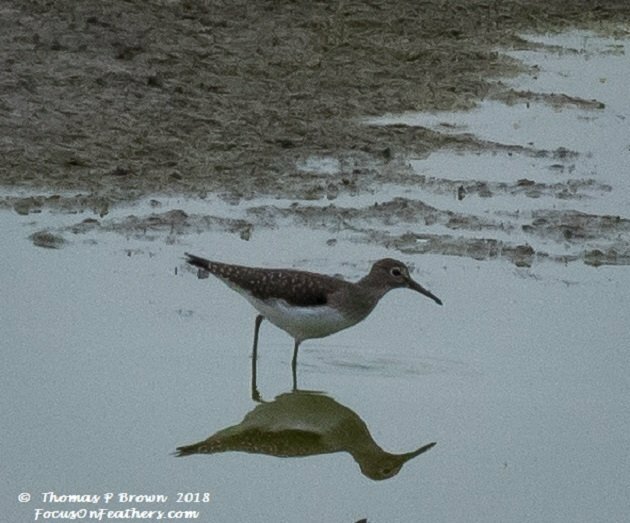 In a bit of a twitch, there have been some eBird reports of a Solitary Sandpiper, in a quickly drying up flooded piece of agricultural property. I got permission to enter the private property, was able to find the bird before its little hideaway dried up. 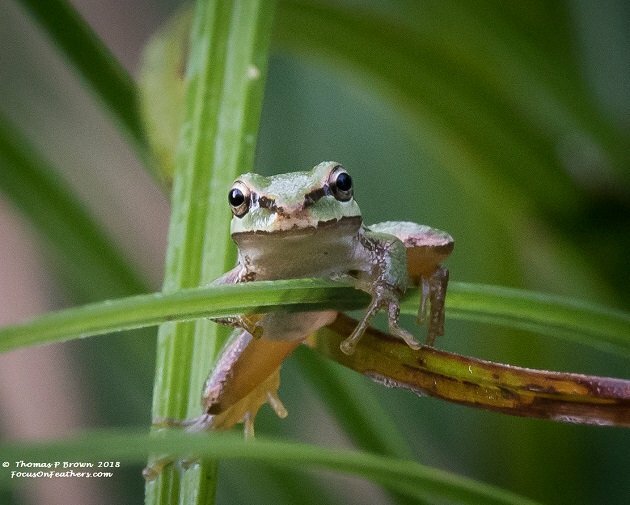 In addition to the Solitary Sandpiper, there were Least Sandpipers, Western Sandpipers, a Greater Yellowlegs, Barn Swallows , Northern Rough-Winged Swallows and Tree Swallows, Brown Cowbirds, Spotted Sandpipers and a bunch of Canada Geese. This is as close as I could get to the Solitary Sandpiper. And here is one of the Western Sandpipers. 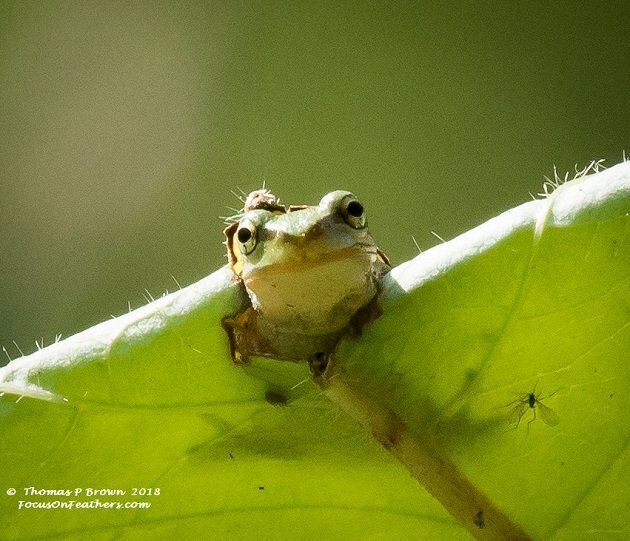 This one had its head stuck out of a hole in a folder over blackberry leaf. I am not sure if it was waiting for that mosquito to get a bit closer, or just saving it for later. 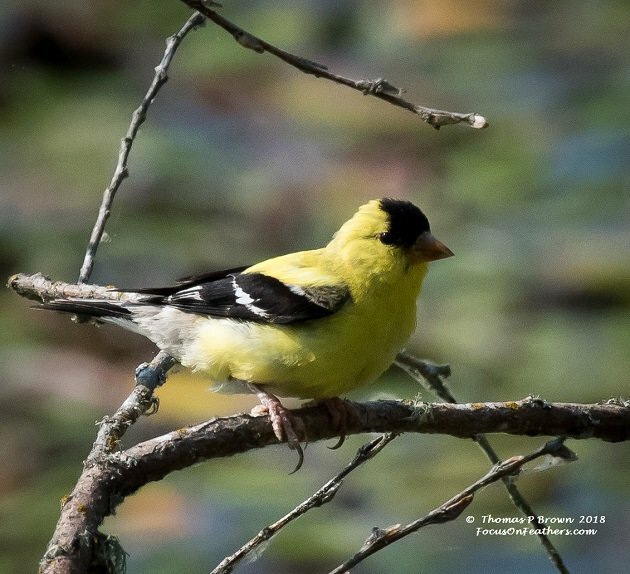 Despite a much slower pace, now that we are not full time on the road, for now anyway, I have still been able to add a few new birds to my Little Big Year list. Next week we are taking a boat trip up into the San Juan Islands between Washington, and British Columbia. If the weather holds, we plan an excursion into BC to see what we can find for my Canada list! 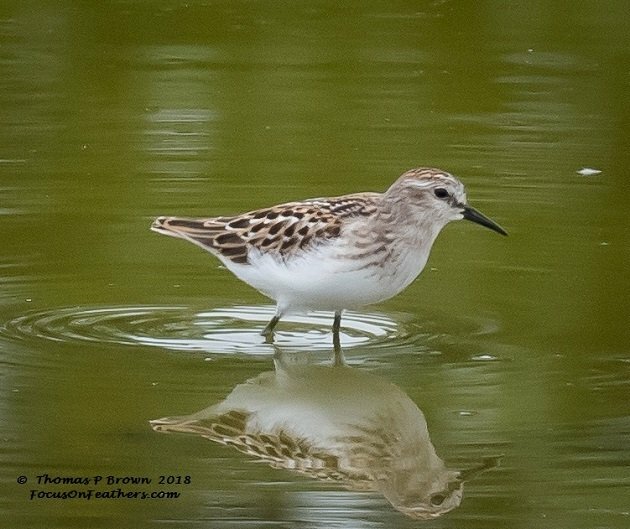 So, there is some question about the true identy of the bird featured here, that I show as a Western Sandpiper. I gave it some consideration for being a Semi-palmated Sandpiper, but they are so rare around here, and the identification was just not 100% so I took the easy out. Now, I have gotten a couple comments that it is indeed a Semi-palmated…..drop- me a note and let me know what you think.